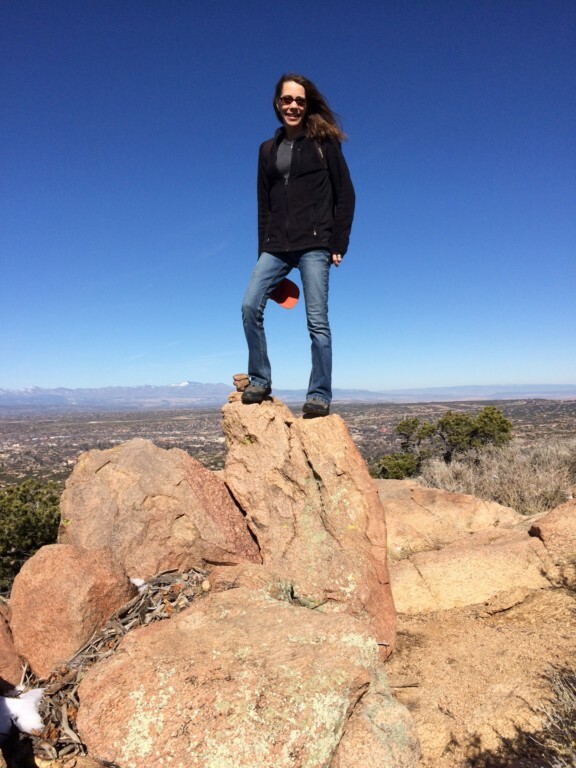 The author, Tamara Stewart, hiking Moon Mtn in the foothills of Santa Fe. Ten years later, now working with The Archaeological Conservancy as Southwest Regional Coordinator, I helped bring Billie together with the Conservancy to set aside the sites on her property as an archaeological preserve. We share laughs about our first encounter: “Sista, you stood your ground with nothing but a metal clipboard!” she fondly remembers. 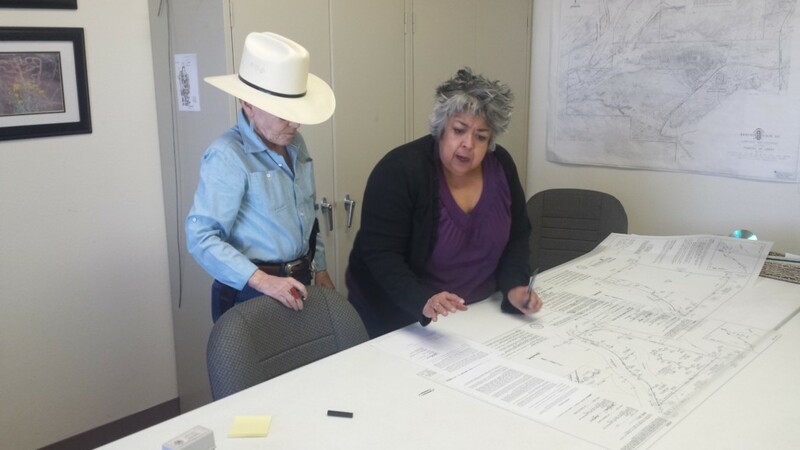 Billie Russell (hat) signing the plat for the Conservancy to acquire Lodestar Ranch, working with Land Title company representative. 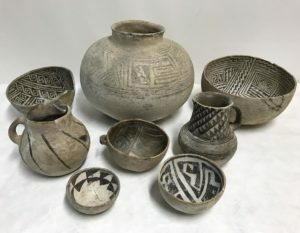 I had received a BS and MA in archaeology from the University of New Mexico and was conducting cultural resource management (CRM) work throughout New Mexico, particularly in Santa Fe County and often in the Galisteo Basin about 20 minutes south of Santa Fe. While working on my graduate degree, one of my professors told me about a job opportunity she’d seen listed by the Conservancy for someone to conduct a feasibility study for a possible membership magazine. Knowing nothing about starting up a magazine, but always up for a challenge, I applied and was hired for the temporary position. Once approved by the Board of Directors, American Archaeology magazine was born and I stayed on to help. I chuckled to myself the other day in coming across the post-it note mock-up I had created of the prospective magazine, complete with membership insert – not so far from the layout of today’s magazine, now in its 19th year! 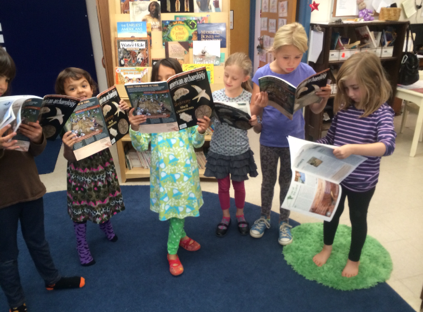 A Young Class enjoying reading American Archaeology Magazine after a Class Archaeology Presentation. Wow, I’ve worked with the Conservancy a long time! Most of us here have, bringing our infants to work, now teenagers, hard to believe! It has been exciting to be a part of the Conservancy team. As Assistant Editor for the magazine, I get to research, write about, and often visit fascinating archaeological sites in such diverse settings as Blackwater Draw and Carlsbad Caverns in New Mexico, the Four Corners region of Colorado, Vero Beach in Florida, Rock Art Ranch in Arizona, Yellowstone National Park (see feature on Ice Patch Archaeology, which won the 2016 Gene Stuart Award for writing that brings awareness of archaeology to the public eye from the Society for American Anthropology), and Pensacola Bay, Fla (to check out the newly discovered Spanish Colonial Luna settlement & shipwrecks.) to name a few recent ones. 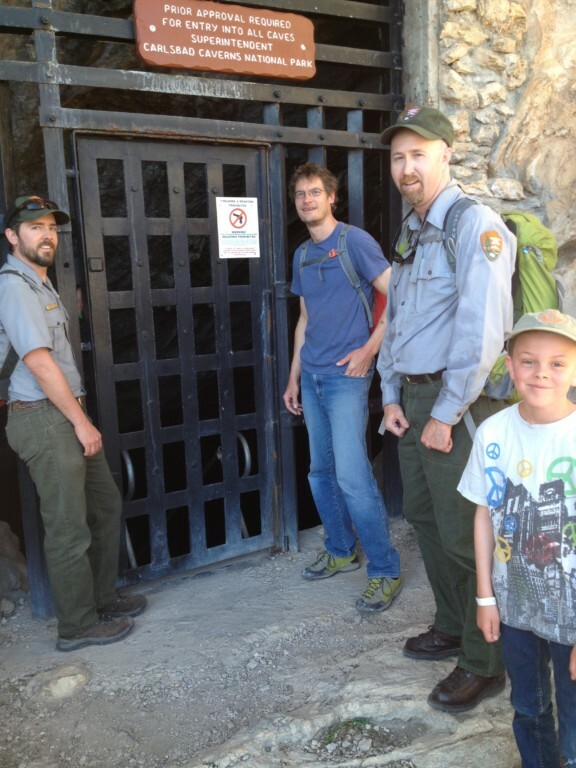 About 6 years ago, My son Leo with an archaeologist and Rangers from Carlsbad Caverns showing us the entrance to Slaughter Cave, where I was doing a feature article. 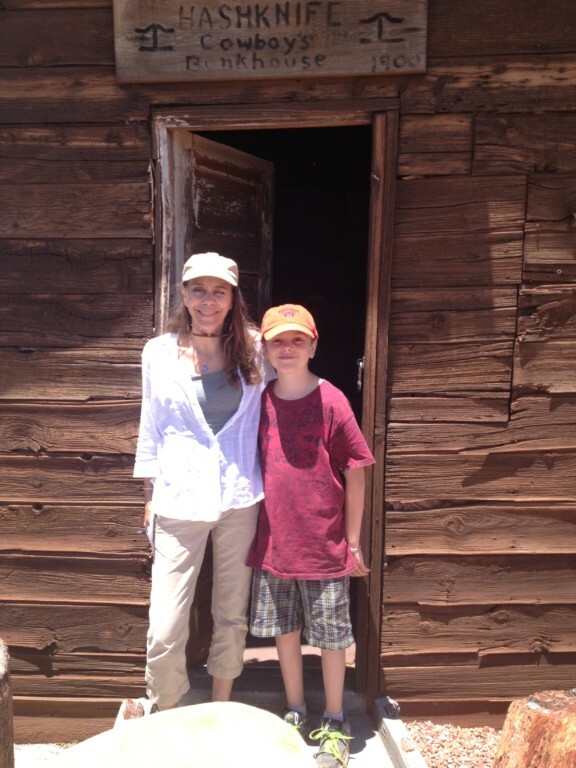 The Author and son Leo last summer at Rock Art Ranch, AZ. outside the last bunkhouse. Photo taken by rancher Brantley Baird. Iconic sites I was fortunate enough to work at in the last couple of years include Bat Cave and the Folsom site, both in NM, Folsom site was the first recorded site to prove the coexistence of humans and Pleistocene animals/bison antiquus in the New World. 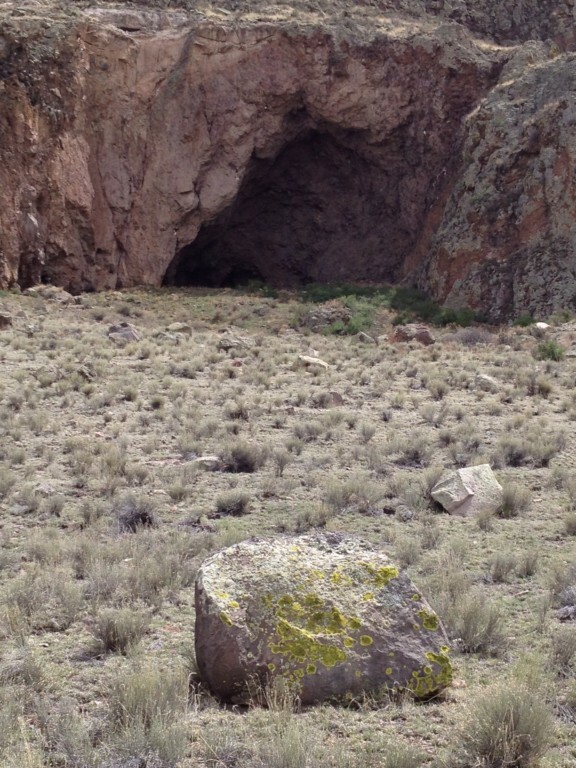 Bat Cave – one of the earliest agricultural sites in the northern Southwest. 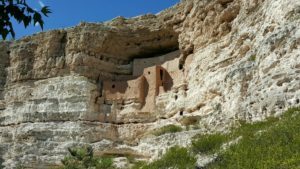 As Southwest Regional Coordinator, I often write National Register nominations for Conservancy preserves in the Southwest, as well as cultural resource management plans, educational handouts/posters, and grant proposals. I love going out to rarely seen sites that are often incredibly well-preserved, often protected by landowners for generations. 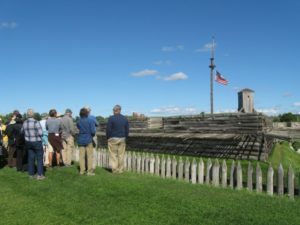 To the landowner who has so carefully guarded a site for years but perhaps has no heirs or none that are preservation-minded, the Conservancy can offer options for establishing their treasure as an archaeological preserve. 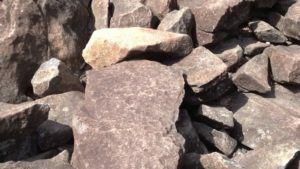 To the developer who usually doesn’t have an expensive excavation/data recovery project in the budget, the Conservancy can help set aside a significant portion of the property as a preserve while still allowing for some development. 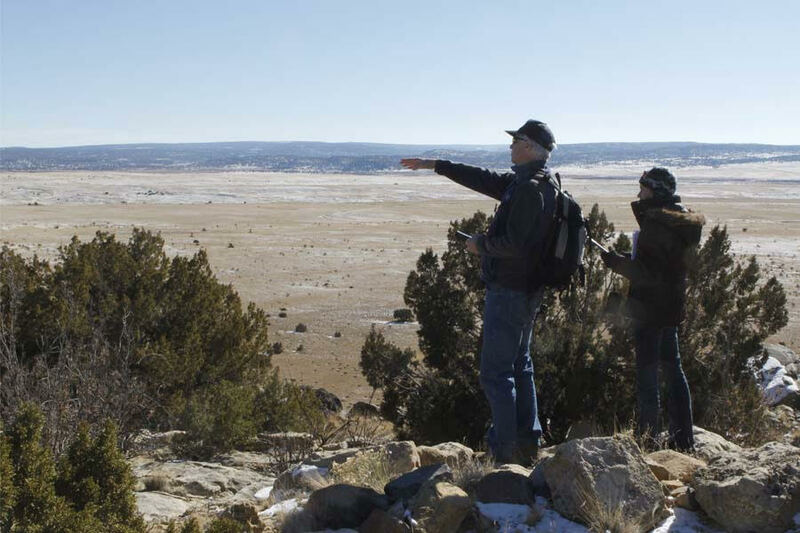 As long-time resident of the Galisteo Basin of north-central NM, it has been particularly exciting to see preservation efforts in this culturally rich region gaining momentum. 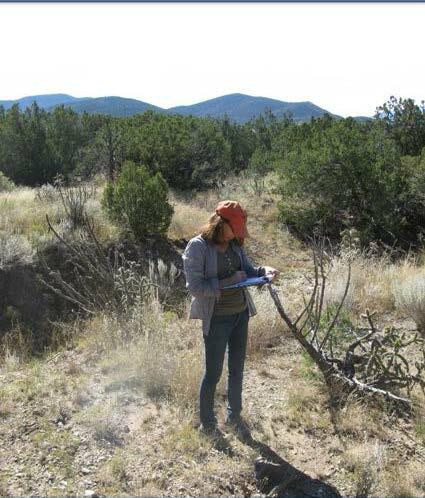 In 2004 Congress passed the Galisteo Basin Archaeological Sites Protection Act, recognizing and calling for the preservation of 25 highly significant sites in and around the basin. 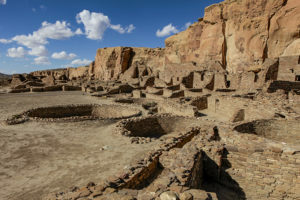 Written by the Conservancy’s president Mark Michel and colleague archaeologist John Roney, the Act has spurred much interest and documentation in the basin. La Bajada Mesa marks the southern end of the Galisteo Basin and was an important area prehistorically. 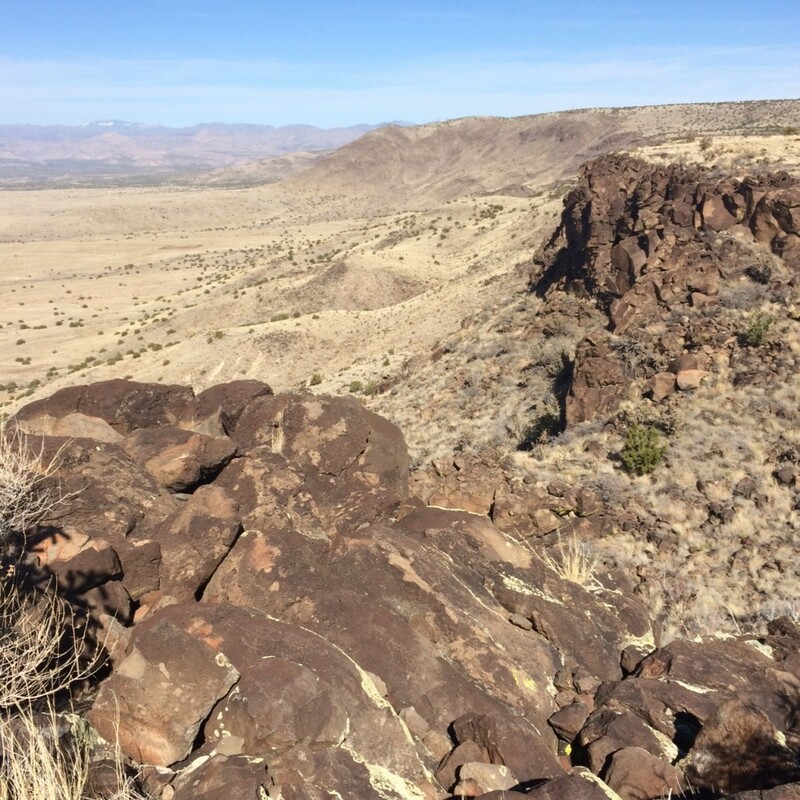 The Conservancy just recently acquired a portion of Manzanares Pueblo, one of the sites included in the Act, bringing TAC holdings in the greater basin to eight sites included in the Act, as well as other important sites such as those on Lodestar Ranch. 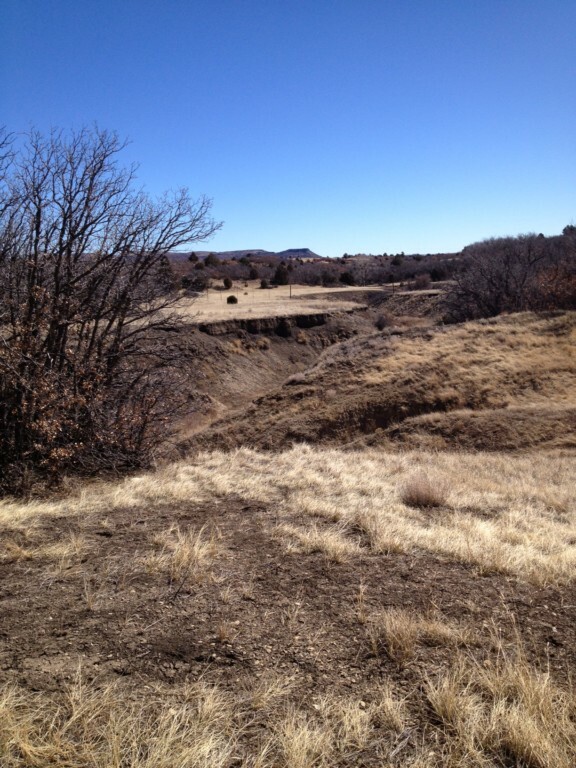 A Multiple Property Documentation Form I had prepared for the greater Galisteo Basin (supported by a grant from the BLM and State of NM) was listed in the National Register, with individual nominations for each of the sites coming up for review. 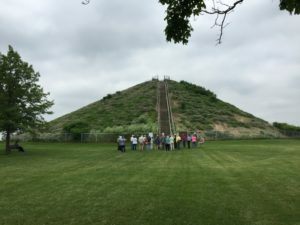 Involving a tremendous amount of collaboration with tribal representatives, agencies, landowners, archaeologists, and historians, seeing this project coming to fruition after years of effort is truly heartening. Recording a mining site at the SF County’s recently acquired San Pedro Open Space in southeastern SF County, which contains portions of the historic San Pedro mining town site. The Conservancy’s preserves, now numbering over 505, are key pieces to many important archaeological puzzles across North America, truly a treasury. 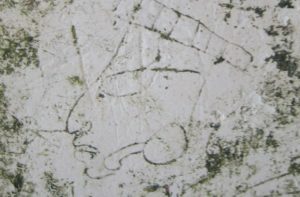 (Read Tamara’s piece celebrating TAC preserving over 500 sites “Five Hundred and Counting”.) We’re all making a difference and its working! Site by site. 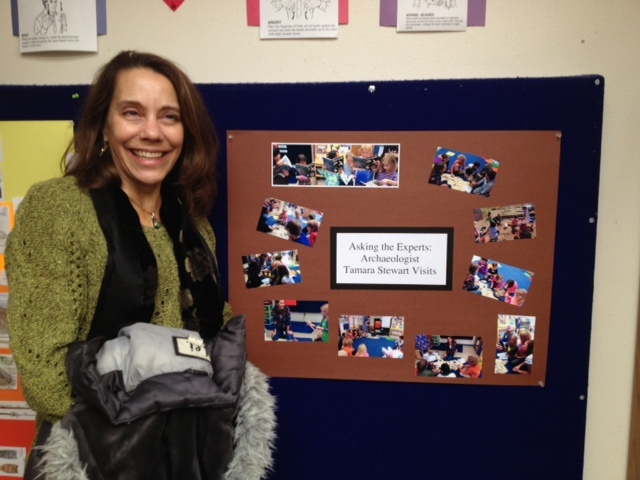 Doing an outreach educational day at a local Santa Fe school. 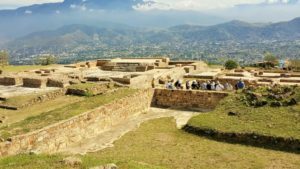 Check out Tamara’s most current American Archaeology piece “Finding Luna” in our Winter 16-17 Issue, and another recent piece “Seeing Archaeological Wonders in our National Parks” from our Summer 2016 Issue. Next articleWhy Does The DAPL Matter in the Southeast? Or Anywhere? Nice article, but there is no such thing as a 22 shotgun as mentioned in the opening line. 20 guage shotgun, or .22 rifle but one or the other. Thank you for the catch! Tamara meant a 12 guage shotgun! Thankx for the close reading! A great composit of some beautiful pictures and meaningful comment, Well done! Continue the good work! After cutting the article “Putting the Petroglyphs in Context”, I punched holes to collect it for my notebooks on American Indians. Recently I began a family tree pursuit and am noting especially their residences and farm plots. 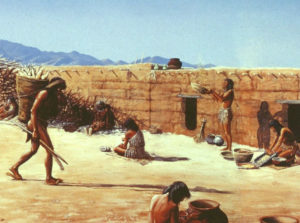 Along with each branch I will be adding information about which tribal groups had to “make way” for them to migrate and settle across what became USA.